Hockey Book Reviews.com: Win A Copy Of Hockey Now! Win A Copy Of Hockey Now! 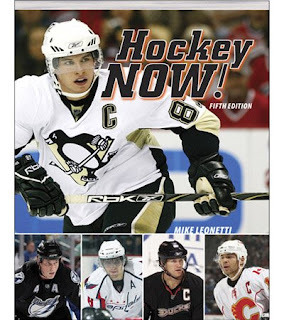 This autumn Firefly Books and Mike Leonetti returned with the fifth edition of the annual book Hockey Now! To celebrate the 5th anniversary, Firefly Books is giving away 5 copies of Hockey Now! exclusively to the readers of Hockey Book Reviews.com. Here's what you have to do to win. Email me with your choice of who is the best player in hockey now. Not the best player of the past, not the best player of the future, but who you believe is the best player right now. Is it Alexader Ovechkin? Sidney Crosby? Roberto Luongo? Alexander Semin? Jarome Iginla? Henrik Zetterberg? Nicklas Lidstrom? All entries will be put into a draw, with 5 lucky winners chosen completely at random! Good luck, and good hockey!